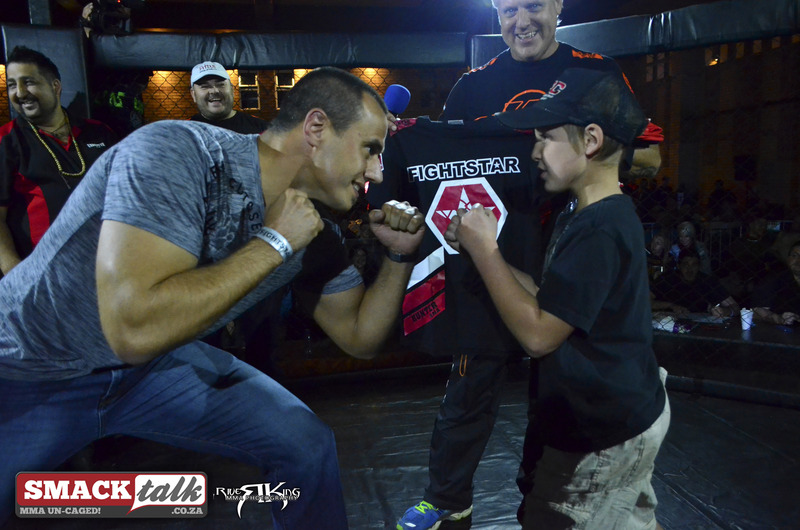 At FightStar 7 on the 31st of May, former EFC Africa Heavy Weight Champion and now South Africa’s own UFC fighter, Ruan “Fangzz” Potts climbed into the cage to give his support to a boy who beat the biggest fight of all against Cancer. 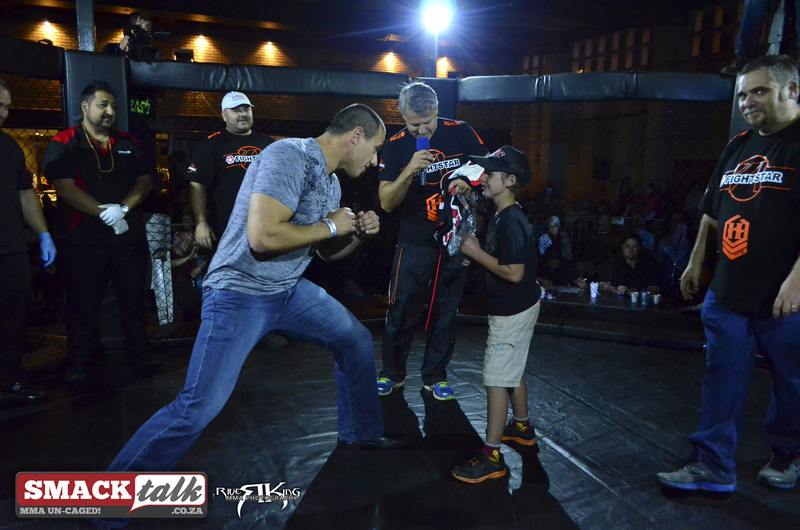 Cameron Marius Smith is a ten year old boy who won the fight against Cancer and through FightStar a small dream of his was made true at FightStar 7 where he was able to meet his favourite fighter of all time and hero, Ruan “Fangzz” Potts. 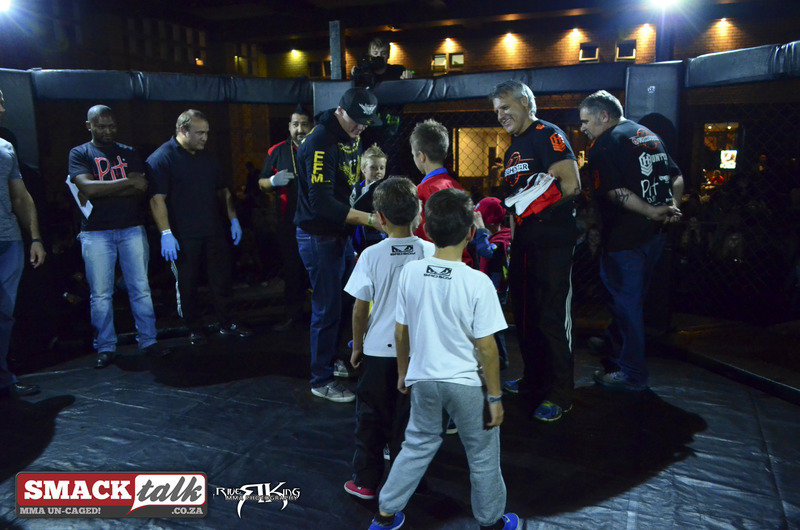 President of FightStar Pietro Cignoli also joined them in the cage handing over some FightStar memorabilia over to Cameron. 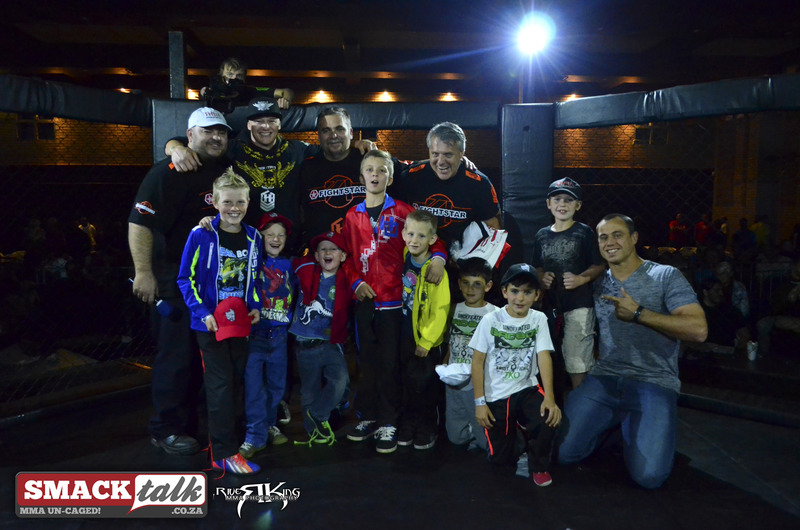 Shortly before Cameron and Ruan were then joined by a few more fighters from the biggest promotion in Africa, EFC Africa. 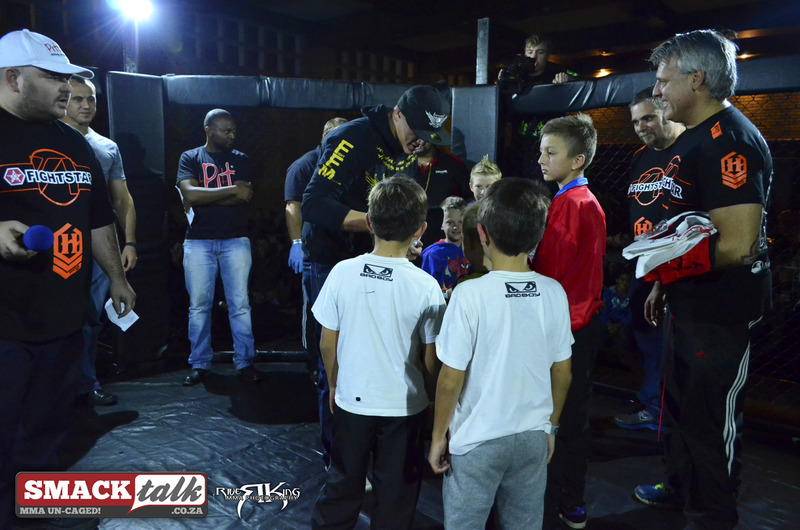 Martin Van Staden made his way to the cage not only to greet the young fighter but to call all the kids that were in attendance at FightStar 7 into the cage aswell handing out Pitbull Energy Caps to each of them before they all posed for a group photo. More than just parents were smiling from that point on of the night and FightStar once again puts a glimmer of hope into the eyes of not only amateur fighters looking to make it into the big time, but into supporters that are battling their own fights each and every day. FightStar is proudly brought to you by Smacktalk, Fighting Fit Kensington, Pitbull Energy, Hunter MMA, Teazers, Venum Fight wear, Lindsaysaker Volkswagen and EFC Africa.